Posted on April 19, 2018 by equinson	• This entry was posted in A Midsummer Night's Dream. Bookmark the permalink. Love’s stories written in love’s richest book.” ( II. ii. 122-129). And this logic tells me you are the worthier maid. This set of lines presents an interesting characterization of Lysander. Lysander, as far as we know, is one of the least characterized people in the play so far. The only major plot point from him yet is that he and Hermia plan to retreat to the forest to get married together in secret. However, now he has been put under the spell of Oberon’s flower, meaning he instead falls in love with Helena. He suddenly becomes one of the most cruel people in the play. In an instant, he drops Hermia, only to instead pursue Helena. He is actually very selfish, switching from one girl to another. Instead of even legitimately trying to break up with Hermia, he just drops her. Yet, he is under the spell of the love flower. While this accounts for some of Lysander’s actions, it does not account for all of it. I particularly feel bad for Hermia because her forbidden love has suddenly abandoned her. She doesn’t know he is even under the spell, forcing him to love Helena, and thus does not know how to win him back again. This scene also reveals to me a common theme of abandonment/ heartbreak throughout the play. We first see this with Demetrius abandoning Helena for Hermia, and know the same thing with Lysander. Overall, this scene does a great job at revealing the character of Lysander, and I am seriously wondering how the plot will proceed now that he loves Helena. I agree with some of what your saying, but I don’t think we can characterize Lysander from this. The nectar is making him do this, not himself. And reason says you are a better wife. Love stories are written in the richest books. Lysander is saying this because the nectar was dropped in his eyes and is making him love Helena. This speech relates to what we’ve been talking about with love. Helena made the speech about how love is blind yet people’s love isn’t. Lysander is saying now his love is blind and he has come to reason with himself. He realizes he loves Helena now due to this correction in logic. The nectar makes people’s love blind. And common sense says that you are better than Hermia. Stories of love written in book of love. Lysander here means that he was wrong to love Hermia, and he sees now that Helena is the obvious choice. He tells Helena that all the time he has spent with Hermia was wasted and that he should have been spending it with her. By comparing himself to nature’s flowers or fruits, he is saying that he was not ripe yet, meaning that he did not see the “truth” about Helena yet. Now that he is ripe he knows that Helena is the one he should love. The nature part about being a fruit or flower is interesting. It ties in with the part that a flower was used to make him fall in love with Helena and that most of the mischief is being done in the forest. I hope that the “spell” will be broken soon and Lysander and Hermia could be back together. Great job! I love how you compared it to the theme of flowers. Keep up the great work! this was a really enjoyable blog to read and it showed that you really understood the reading, great job. I really like how you emphasized the meanings of what Lysander said to Helena. Very nice! Things growing are not ripe until their season. So I, being young, till now ripe not to reason. A man’s desires are influenced by his logical mind, and it’s simply logical that you’re the better one. Things aren’t ready until their time. So I, being so young, wasn’t ready until now to logic. And now that I’m more experienced, reason become the top of my will. And leads me to you, where I overlook love stories written in the best book. The speech that Lysander gave expanded on the theme of something being impulsive versus something being rational. Lysander was in love with Hermia and then in a snap he was in love with Helena. Not only was this rude to Hermia but it also showed how impulsive he was. In his speech he talked about logic and not being ready, which is reasonable, but once he started to say how he is finally ready for Helena, he was being irrational and wasn’t thinking straight. In Romeo and Juliet we talked about how impulsive decisions aren’t always the best ones and in this book we can see it too. Lysander is breaking someone’s heart because he changed his mind. Of course it’s not his fault he is under the spell, but it is his fault to not sleep near Hermia and not wake up by the sound of Puck’s footsteps. Going back to Romeo and Juliet, we saw how the men were impulsive which lead the women to do the same, however, here we see Helena being impulsive and ask for the flower which makes Lysander impulsive. Tonight we read A Midsummer Night’s Dream and below are Lysander’s words to Helena after falling in love with her because of the flower. Here, Lysander is realizing that he loves Helena, but not because he actually does, just because of the flower that Puck messed up with and showed to the wrong person. Lysander does truly love Hermia he is just being tricked by the magic of the flower and professing his love to Helena instead. He tells her that he has made an error and that he should really be with her and not Hermia. He wants to be with Helena and thinks that it is all just him realizing now, but has no idea that he actually doesn’t love her, he is just under a spell. It was interesting because just before this part, Helena was saying how she wasn’t as pretty or perfect as Hermia and that is why she has two people that love her. She thought that because she could never be like Hermia, Demetrius could never love Helena. I think Shakespeare had her say this beforehand so that it really had an impact when she was loved by Lysander instead. Maybe if she believes his love for her, Helena will become less envious of Hermia and everything that she has. Great Job, Ryan! Your blog was fantastic and provided adequate analysis and information on the scene. Keep up the great work! I love how you added that Shakespere purposely added the part where Helena thought she was less than Hermia. Sometimes I forget that Shakespeare sets up certain things to happen with more intensity than others. Great Job! and it’s simply logical that you’re more worthy of love than Hermia is. Fruits and vegetables don’t ripen until the right season of the year. So, I’m young, and my sense of reason has just ripened. where I see every love story ever told. Lysander is saying that he loves Helena and that it was his mistake to love Hermia. Although he truly loves Hermia, he is being tricked by the potion that Puck had applied on him. Due to the distance between Lysander and Hermia, Puck mistakes them for Helena and Demetrius and applies the potion. After Helena wakes up Lysander, he immediately falls in love with her. He told her that she was more worthy of his love and that his youth and stupidity led him to love Hermia. I wonder if this “fake” love that Helena is experiencing will give her more self-esteem and confidence in herself. Also, I wonder how long Lysander will be under this potion for. I hope to read more and learn about this story, while also becoming better at interpreting Shakespeare. Great job, Ajay. I agreed with all of your points and you had a good analysis. Awesome job Ajay! I too wonder if Lysanderc will be under this spell short term or long term. When Lysander wakes up loving Helena, he speaks to her about reason and love in the above paraphrased lines. Literally, Lysander says that reason is what lead him to love Helena, believing her to be a better match for him. His mind and reasoning have become greater, and now they are what control his actions. When taking into account the entire story so far, it becomes more complex. Lysander is not really being controlled by logic, but by love. When Puck mistakenly anoints Lysander’s eyes, he wakes up, and being driven by love, chooses Helena now instead of Hermia. Compared with the rest of the story, it is really the opposite. When Hermia is offered the choice to die or marry Demetrius, her love makes the decision to run away before she even realizes. As another possible example, Helena immediately reveals her friend’s secret when she sees the opportunity to gain the one she loves’ favor. This may portray the same theme of impulsivity as we saw in Romeo and Juliet, where love fuels their rash decisions and leads to their demise. Perhaps it will also cause trouble in this story, if not their death. In act 2, scene 2 of Midsummer Nights Dream, Lysander tells Helena that “The will of man is by his reason sway’d; And reason says you are the worthier maid. Things growing are not ripe until their season So I, being young, till now ripe not to reason; And touching now the point of human skill, Reason becomes the marshal to my will And leads me to your eyes, where I o’erlook Love’s stories written in love’s richest book.” Lysander has already been given the magical flower by Robin and Lysander saw Helena first when he woke up. He says that people can change their thoughts by their own reasoning and that his reasoning has changed making Helena the woman Lysander now loves instead of Hermia. He then says that he was still young and foolish when he was in love with Hermia, but all of a sudden Lysander was no longer young and realized his mistake and started to love Helena. His reasoning led him to the so-called truth, his love for Helena. Lysander then says that he really in love with Helena and that their love is the love in books, the ones that always have happy endings. Lysander, before this scene, does not really have a major role except for the fact that he and Hermia are lovers. Now, he shows how he acts when he is in love and shows how outgoing he is. Also, gender roles play a major part. Usually, back in that time, women were portrayed as weak and vulnerable. Here, they are shown as almost manipulative. Because of the time, it was written in, it might show the so-called evil of women and how men so-called deserve to be more powerful so that they are not victims of the manipulation. (Possibly). And logic says you are a worthier woman. Love stories written in love’s richest book. This is Lysander fully confessing his love to Helena. He is proving that he no longer loves Hermia by saying he was blinded before by being so young. Really he is now blinded by the nectar that Puck put in his eyes. He can no longer see his true feelings and can only see what the nectar has made him love, Helena. I feel bad for Helena. She couldn’t get Demetrius to love her, and now she is going to think a man loves her that really doesn’t. Also, her relationship with Hermia is going to be completely ruined. Even if Hermia forgave Helena for betraying her to get to Demetrius, there is no way that she would forgive her for stealing Lysander from her. I have a feeling that Helena is going to try and use Lysander to make Demetrius jealous or something like that. She too seems to be blinded by her love for Demetrius. As we saw in Act I scene i, Helena sees the flaws with love, but not with her own love. I think we should keep an eye out for more people being blinded by different things, it already seems to be coming up a lot. Logic is what sways my choices. Vegetables ripen at the right time of the year. Since, I was young, I was not old enough to think logically. Logic has been my action for everything. Before this, Lysander is not mentioned at all, and not important to the plot of the book until now. Lysander is completely out of his mind, from loving Hermia, to loving her best friend, Helena. He took a full 360. However, the love flower has made him cruel and he does not mean to be. I feel bad for Hermia because she has no idea what happened to her soul mate and she is left helpless. I wonder what kind of impact Lysander’s love will have for Helena. Will it boost her self confidence, and go after Demetrius again? I wonder when the magic on Lysander will wear off and what will happen with Demetrius and Helena. And, through reason, you are the better maid. I see every love story written in love’s best book. When Robin/Puck sees a man in Athenian clothing, he assumes this is Demetrius and squeezes the flower’s nectar out onto Demetrius’s eyes. This blinds Demetrius, and he loses sight of the person who is really important to him: Hermia. He sees Helena and, due to the nectar’s effect, immediately falls in love. I feel that being blinded should be a motif throughout the rest of the play. I mean, Helena gives that speech about how love is blind. Now we see Lysander’s eyes covered in this nectar that makes people fall in love. Maybe Helena was wrong. Maybe it isn’t love that’s blind (although he may be painted that way), but it’s love that blinds people. After all, Helena’s love for Demetrius caused her to plot against her best friend. She can acknowledge that love is blind, but she cannot acknowledge that love has blinded her. Maybe this is human nature. No one ever wants to take responsibility for anything, so we end up saying that it’s love that’s blind, and not us. Sorry at some points I said Demetrius instead of Lysander my bad. I love your ideas on blinded love! Great job paraphrasing and giving specific ideas! And logic says that you are the better maid. In this part of the play, we see that love is very flexible and changes a lot. This can very well be an important theme in the rest of the play. While we thought the Hermia and Lysander were perfect together, love changes, and now, Lysander is in love with Helena. We can see the love is something that is not set into stone, and is something that is constantly gonna change and influence characters. Love takes a huge shift, and it is really going to change the outcome of the play, and the way the character’s act. In real life, we can feel love for someone stronger on some days, and the next day, we can completely despise them, or just love them less. Love is very unpredictable, and is something that is going to change as time goes on. Lysander loved Hermia very dearly, but (under the influence of the nectar) he now loves Helena. Who knows? Maybe Hermia will fall in love with Demetrius. And my reason says that you are more worthy for me. So I, still being a young man, was not ripe to reason. At love’s stories written in love’s most precious book. In this speech, Lysander is trying to woo Helena. This is the point where you know everything is going to be complicated. They fell asleep being two lovers, and woke up with one regretful for their love. Lysander said that when he was with Hermia, he was immature and unreasonable, although that was literally a few hours ago. Now, he said that he was more mature, and that because of it he thought that Helena was more worthy to be his lovely wedded wife. It would make sense that Helena thought he was mocking her, since he had just woke up with Hermia right next to him, and was suddenly flirting with her. As you can see, Robin made a mess that might affect the stories of the other people. Great blog, Abigail! Your paraphrasing was spot on, and Puck’s mistake will change create a huge conflict in the play. Act II, scene ii of A Midsummer Night’s Dream creates a silly conflict that needs solving. Puck has given Lysander the nectar from the love flower, although he was supposed to give it to Demetrius. Now Lysander is going after Helena, while Hermia is going after Lysander, Demetrius is going after Hermia, and Helena is going after Demetrius. When Lysander wakes after the nectar is put in his eyes, he first sets his eyes on Helena and he attempts to woo her. And it is because you are a worthier lady. Love stories written in the loveliest books. Lysander actually gives an explanation for why he has fallen for Helena. He states that he is old enough now to have good judgement, and he says that he can clearly see that Helena is better than Hermia. Although this is flattering, it is not what was meant to be. Lysander brings up how he old enough, but according to our discussion in class the main characters are just teens. Obviously they are not old enough to be making rash decisions and flipping on a dime about who they love. He also brought up fruit being ripe according to seasons, which goes along with our discussions about nature. The seasons change based on the behaviors displayed by Oberon an Titania. Whenever their relationship is turbulent, the seasons are thrown off. Oberon and Titania are currently fighting about the ownership of an indian boy that Titania cares for. Since they are fighting the seasons are thrown off. This could be a reference of how Lysander says that he has ripened according the season, and due to his “ripening” he has realized that Helena is the one for him. He wasn’t supposed to fall for Helena, but according to the seasons controlled by Oberon and Titania, his “fruit” has ripened during this season, causing him to fall for Helena, rather than Hermia. I think that nature will be something we should look for. Our story does take play in the woods after all. I enjoyed reading your blog. I completely agree with your point that these people are too young and impulsive to make these kinds of declarations. And according to logic, you are the better woman. The beauty of love in one great form. You would think Helena would be delighted or at least happy that someone thought this way of her. Instead, Helena is annoyed because she believes that Lysander is lying to mock her. Lysander’s words not only apply to that particular situation but to the novel as a whole. While Shakespearean women seem to be bold, Shakespearean men are unfaithful. I understand that this isn’t Lysander’s fault, but it seems to be men just in love with the idea of love. I don’t think Shakespeare’s portrayal of men is exactly true, but all stereotypes are based on some truth. And common sense says you are better looking than Hermia. Lysander appears to have had a complete revelation with his views on Hermia. Previously, he had loved and devoted himself to Hermia and vice versa. However, Puck’s unintended interference with their relationships creates more problems than solutions to the girl’s love lives. In such a short time, and such a quick mistake, the entire future of the play will be changed. Can you imagine one day waking up and your “true love” has completely forgotten about you and fallen in love with your best friend who was clearly jealous of you? The themes presented in this scene are jealousy and time. Had Helena not been jealous of Hermia and made such a big deal about her romance problems, then Oberon most likely would not have pitied her. Now, Helena will be jealous of Hermia because she has Demetrius, and Hermia will be jealous of Helena because she has Lysander. This whole story has become a giant jealousy-tangled web with even Oberon joining in and being jealous of Titania. Also, time shows how in a matter of minutes, the mind of a youth can quickly change to have a new opinion. “So I, being young, till now ripe not to reason” is a demonstration of Lysander’s mind maturing in a matter of one nap. It is an important life lesson from Shakespeare to not quickly decide on emotions, but rather to wait until you have developed your thoughts to make a decision. Great response Matt! You gave a lot of evidence and had an overall great analysis. And that logic says that you are the better lady. The best love found in the best person. During tonight’s reading, this information-rich speech caught my eye. The first thing I noticed was the Image of maturity and logic. Lysander attributes his sudden desire for Helena to be due to a sudden realization, a coming of age in which he is now fully mature. He even goes as far as to compare himself to a fruit, saying that until now he had not been ripe and rational. It seems to me that there is an underlying theme of rationality and reason in A Midsummer Night’s Dream, not only in this speech but in other places as well. We find Bottom being immature and joking around during Act 1 Scene 2, Helena tells Demetrius about Lysander and Hermia going to the woods outside of Athens and the action of leaving Athens in the first place. What Lysander is saying here is that he was wasting his time with Hermia. He says his time with Hermia was caused by youth and stupidity. He percoeves himself as smarter and more logical now, which is why he has now chosen Helena. Lysander feels that he has intellectually evolved and that his taste in women should evolve along with his mind. This speech advances the theme of love within this play. Love is constantly evolving and changing, growing deeper and more meaningful. Just like how here Lysander feels he can have a more complex, deeper love with Helena which kind of echoes Helena’s critiques of Demetrius’s love for Hermia. I think this is the beginning of seeing what love truly means for each of this characters. And a love story is being written at this very second. Lysander is saying that his love for Helena is as confusing to him as it is to Helena. He feels that it is strange to have such a sway in affection but yet thinks this sway is the right choice. However it is not. And Lysander is only loving Helena because of the nectar. This can strengthen a theme that was brought up before in the play that Love is blind. Which was in a speech that was made by Helena. Ironically enough she is getting this same blind love from Lysander. And my thoughts say you are the worthier maid. The greatest love stories in love’s fullest book. Here we see Lysander’s altered thoughts towards Helena after he had the magical flower’s nectar placed in his eyes. It has made him forget his love for Hermia and instead move on to Helena. These thoughts aren’t really is, as they are only there because of the nectar, so we can’t really take them as his serious thoughts towards her. What they do show is the extreme power of the flower, and therefore its ability to mess with everyone in this play. I wonder how Helena and Hermia will feel towards this change of heart, and if they will be mad at each other or at Lysander? They logically think about if you are the more beautiful girl. Things that grow in nature only are only when they are in season. The logic of who I want is most important to me. And the logic will lead me to your eyes that I used to overlook. The memories we make will go down in the rich book of love. Lysander is telling Helena that he used to be immature, and he never realized how beautiful she was until now. This is the cause of Puck putting the magic to fall in love with the first person he sees. He meant to put it on Demetrius so he could fall in love with Helena, but both men looked similar and he got mixed up. Now everyone loves the wrong person, and this really develops the theme of misunderstanding. There is a lot of conflict between many people in this play, and that is simply because no one is communicating or talking things out. For example, instead of counselling Hermia and talking to her about marriage, Egeus yelled and said she would marry demetrius or she would die. Also, Oberon and Titania are both very stubborn, and they accuse eachother of things instead of having a conversation about their relationship. This is now the same thing for the four aristocratic lovers. They are impulsive, and instead of thinking about why Lysander suddenly loves Helena or Demetrius loves Hermia, they get very worked up and desperate. The characters want what they want, and they have to learn how to communicate. This is a theme that is in every aspect of the story, and I am excited to see more evidence of misunderstanding or miscommunication. Love’s richest tales in the greatest of love’s books. This is an important quote showing Lysander’s altered will because of the nectar in his eyes. 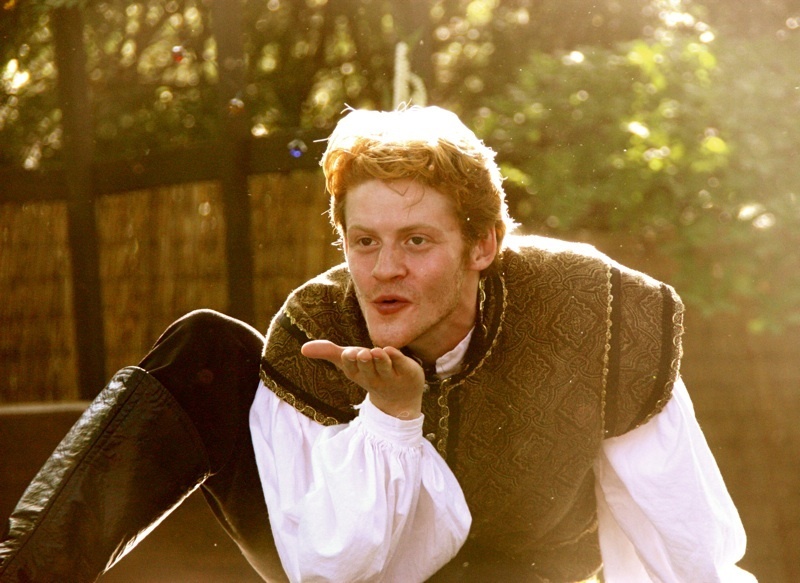 It emphasises a dramatic irony, where Lysander claims to have his will controlled by reasoning, even though the audience knows he is under the influence of the misplaced nectar. This contributes to the idea brought up in the first scene, where love is portrayed as a deceptive mockery of emotions of men and women. It would appear this becomes literally true, as magic is controlling who Lysander loves. Where love stories are written in love’s richest book. In this paragraph, Lysander is showing how he changed with the nectar in his eyes, and how he shows the disinterest in Hermia, and burning love for Helena, he has changed so much with the nectar on his eyes, and it really effects the plot of the story.